Can a Franchisor Close a Franchise on an Owner? In many ways the relationship between a franchisor and a franchisee is like a marriage. It’s based on trust, honesty, and mutual understanding. And like a marriage, the franchisor-franchisee relationship can turn sour, and the two parties must part ways. Which brings us to the subject of this article: can a franchisor close a franchise on a franchisee? More crucially, on what ground can a franchisor terminate a franchise agreement? Keep on reading to get the lowdown. Before buying into a franchise, a franchisee must sign a franchise agreement. The franchise agreement is a contract which dictates all the rules, regulations, and so on of the franchising. It includes the type and amount of fees the franchisee must pay, and when to pay them. If a franchisor moves to close a franchise on an owner, it probably because of a breach of this agreement. In fact, most franchise agreements include a clause that gives the franchise company the right to terminate it if the franchisee breaches the same provision more than twice within 12 months. So, which are these offenses or breaches that can trigger termination of a franchise agreement? Contrary to common belief, running a franchise is no easy walk in the park. You must operate the franchise according to requirements set by the franchisor. This is required while trying to stay on top of recruiting, day-to-day operations, and other facets of the business. That’s why it comes as no surprise that nearly 37% of franchisees realize too late that they aren’t cut out to run a franchise. So what happens when you neglect or abandon the franchise? That’s where the franchisor can initiate the termination of the franchise agreement based on the sole fact that you’ve deserted the business. 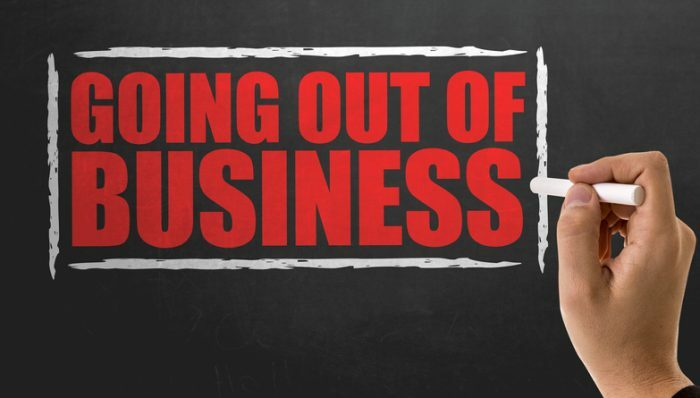 More often than not, franchisees who have abandoned their franchises don’t put up a fight. There are two types of franchise fees that a franchisee must pay in accordance with the franchise agreement. The first one is a one-off initial fee that allows the franchisor to defray the costs of starting a new location, including advertising, training, and so forth. The second, and the most important, is an ongoing fee. This is the royalty fee that the franchisee has to pay the parent company monthly, quarterly or annually as agreed upon. Failure to remit these franchise fees on time can force the franchisor to close a franchise on an owner. Again, if you fail to do so more than two times in a period of 12 months, the franchisor can terminate the agreement. It is not uncommon for some franchisees to fail to pay part or all of the rent for the location, cost of the inventory from the franchisor or the franchise fees. It could be that you are facing personal financial problems or that the franchise is extremely underperforming. Whatever the reason, the franchisor should be able to talk to the owner and try to understand the reason behind nonpayment. If the issue becomes persistent, the franchisor might legally close a franchise, as well as terminate the franchise agreement. If the franchisee discloses wrong information (ie. net worth), the franchisor has the right to terminate the franchise agreement. In fact, they can pursue further legal recourse to recoup any money lost in the process. Repudiatory breach is a terminology used in common law. It refers to where the breach of the franchise agreement is so grave that it terminates the contract immediately. It could be that the franchisee has been involved in lewd activities like sexual crimes, serious tax fraud, irreparable crime? … the list goes on and on. When all’s said and done, it’s upon a court of law to determine if a case is repudiatory enough to bring a franchise contractor an end or not. These are just but a few reasons a franchisor can use as a ground to terminate a franchise agreement. Of course, the franchisee can contest the closure in court.